Improving performance is one of the most common things for a Contact Centre Manager to have on his or her mind. There is immense pressure to deliver better results, but, at times, it can seem like you’re swimming upstream. Customers are getting ever more demanding, and it can be a challenge to develop a cohesive team of agents to manage the fast-paced environment customer services can be. Typically, when we think about improving performance, we tend to focus on our KPIs. This makes sense, as they are what the management will use to evaluate our work. But if we want the improvements we make to be long-lasting and have a positive impact on the entire business, then we need to make sure we’re implementing the right strategy. Improving Contact Centre performance is about innovating new strategies. It’s about taking a look at what others are doing and figuring out how to do them better. Below you will find a collection of best practice strategies to help you do just this. Any effort to improve should begin with an audit. You need to have a clear idea where you are right now to get to where you want to be. We all have gut feelings about what could be done better, but it’s much better in the long run to make logical decisions backed up by data rather than emotional decisions based on perception. This is the only way to make meaningful change. What are the key business goals and drivers? How does the business operationally support those goals? How does available Contact Centre technology support the business operations? How easy is it for customers to interact with you? What channels are available and can they self-serve where and when required? How easy is it for the agents to provide effective customer service and first-time resolution? Gaps in employee skill sets and capabilities, as well as infrastructure failure points. But more importantly, the audit will help you identify areas of weakness as well as opportunities to improve, providing you with a blueprint for how to move forward. Each Contact Centre is different, so it’s important to understand the specific challenges your operation faces and develop the appropriate solutions. Another important thing to consider is the type of technology you are going to embrace moving forward and how you are going to implement it. Technology can undoubtedly help you develop better communications that will help you improve customer experience. For example, better call routing software or chatbots can make sure customers get through to the agents most likely to help them. Investing in technology can be costly, though, mostly because of its extensive infrastructure needs. It’s important to enhance what systems you already have before adding new technology in an elegant way, i.e. adding only what is necessary and ensuring full integration with other systems. As a result, it’s critical you take a strategic approach to Contact Centre technology. Which types of technology will help you the most? Which will your customers use? What infrastructure costs can you absorb? All of these questions are important to answer. It’s vital to identify your specific needs and devise a plan that allows you to implement technology in a way that improves your Contact Centre and supports your overall business goals. Your goal needs to be to have the maximum possible positive impact on your Contact Centre’s performance. Doing this requires you to take a tactical approach, and this means using the data you have available to you to figure out where you should be focusing your efforts. Luckily, Contact Centres generate huge amounts of data. But the challenge is in managing it. 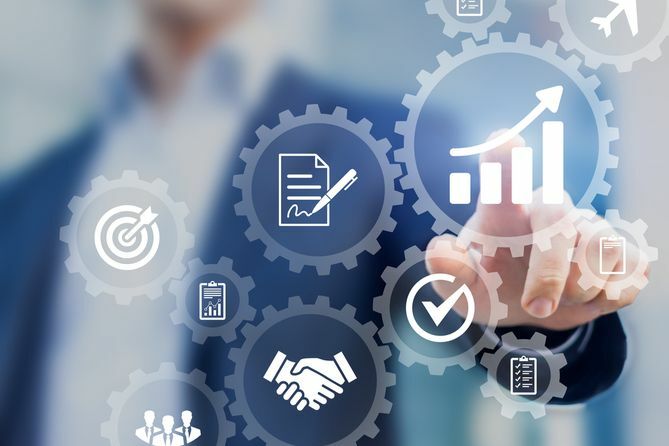 AI and machine learning solutions such as Amazon Connect can help you gain insight so that you can identify recurring issues and other areas of improvement. This information is useful when updating your knowledge base tool because it makes it easier for you to determine what topics you need to cover and how you can better support your customer. In the end, the data you collect should essentially tell you what you should be doing to improve your overall operation. Or, at the very least, it should tell you what issues are most glaring and need your full attention. The more qualified each one of your agents are to deal with different issues, the better they will be able to handle customer enquiries, leading to speedier and more pleasing customer service. As a result, when auditing your operation and collecting data, look for areas where gaps in agents’ skill sets are the reason for below average performance. There may be a need for more extensive training. Perhaps agents are being asked to work with a computer program with which they are simply not familiar, or maybe they are being asked questions they simply don’t know how to answer. When this is the case, it doesn’t matter what you do - performance will not improve. The only solution is to bring in some outside help to provide your agents with the tools they need to do their job better, which will soon result in an overall boost in Contact Centre performance. A big hindrance to improved Contact Centre performance is employee turnover. Some Contact Centres have earned the reputations as being a revolving door, and if you’re not careful, that designation can expand to include you as well. How do you fix high staff turnover? Make sure your employees are happy and engaged. Training is part of this, for when people feel they are well-equipped to do their jobs, they tend to be happier employees. But there are other things involved, such as providing people with other professional development opportunities, making sure they have enough time to tend to their personal lives, and establishing a connection between them and the company that extends beyond just the employer-employee dynamic. Regular meetings with agents to gather feedback and demonstrate their role in the decision-making process. Identifying best practices to reduce guesswork. This could mean providing agents with a template or giving them step-by-step instructions for how to deal with certain issues. This will make it easier for them to succeed, which encourages them to continue striving to deliver great service. Offer mentoring and other support systems so help foster camaraderie amongst your agents and also to provide them with an additional line of support when they need it. Give agents the best possible tools to do their jobs. In this case, an infrastructure audit can be very useful, as it will tell you which agents are lacking what they need to deliver an excellent customer experience. 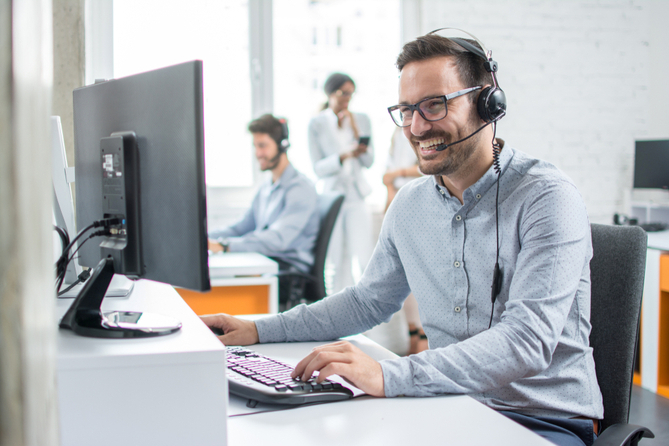 Whatever approach you end up taking to improve the performance of your Contact Centre, make sure you don’t lose sight of the five things we’ve discussed here. The goal is to avoid taking one step forward and two steps back, so make sure you’re thinking about the big picture as you look for ways to get better in the near term. Connect offers a range of fully customised Consultancy Packages for Contact Centre and Unified Communication optimisation based on our 25 years of knowledge and experience. Our packages are designed to complement your offering. All our audits will identify improvements and make recommendations that can be made to the customer journey. Each audit will end with a comprehensive report that will be presented back to the customer in a Review and Feedback Workshop. 1. Customer Experience Audit - identify improvements that can be made to the Customer Journey. 2. Contact Centre Infrastructure Audit - identify, audit and document the Contact Centre Infrastructure. 3. Agent Experience Audit - identify and quantify improvements that can be made in the Agent Experience. To learn more, download our Contact Centre Consultancy brochure.